With the reign of big Colombian drug cartels over and an exponential increase of law enforcement intervention, North America has observed a decrease in its cocaine use in the past few years. Although the United States remains the largest cocaine market in the world, the United Nations Office on Drugs and Crime (UNODC) World Drug Report of 2013 reports this market has been in decline over the past three decades. During the disco era of the 80s, cocaine was a drug for the wealthy that exuded glamour and sophistication. The first wave of cocaine use in America took place in the late 19th century, when the substance was legally accessible in stores and saloons. The powdery-white drug derived from the coca plant was even an ingredient found in the popular soda pop, Coca-Cola. Before long, the dangers and addictive tendencies associated with the drug became apparent and by 1914 the Harrison Act was passed in order to regulate its distribution. The fear of cocaine felt in the 1920s was gradually forgotten and a second wave of the drug’s popularity hit the US once more in the 1960s. During the disco era of the 80s, the prevalence and increasing use of cocaine in powder form was largely due to its appeal as a drug for the wealthy that exuded glamour and sophistication. The narcotic powder quickly seduced its users through its physiological and psychological effects, and, until recently, maintained its top ranking as one of the most abused drugs in the US. At its peak in the mid-1980s, one in seven 12th grade students in the US had used cocaine in the previous year. That number has dropped to one in 20. In 1982, an estimated 10.5 million people in the US had used cocaine in the previous year. By 2008, that number decreased to 5.3 million. Between 2006 and 2011, cocaine use among the general population in the US fell by 40 percent. There has been a 65 percent drop in the rate of people in the US testing positive for cocaine in the workplace between 2006 and mid-2012. Cocaine overdose deaths in the US dropped 44 percent in 2010. There has also been a substantial drop in cocaine supply coming out of Colombia. 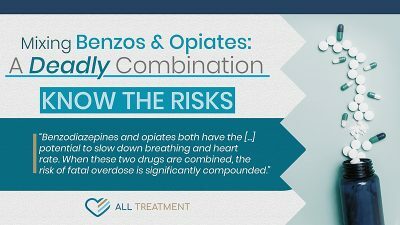 As one of the top three cocaine producing countries, along with Bolivia and Peru, this has had a huge impact on the drug’s consumption in the United States. Results from a survey by the government of Colombia and UNODC show that coca cultivation in Colombia continued to decline for the fourth straight year in a row. According to Daniel Mejia, the director of the Research Center on Drugs and Security at the Universidad de los Andes in Bogota, this drop in cocaine production is accredited to the Colombian government’s shift in focus on how to intervene its production in 2008. Instead of implementing drug seizures in the coca crop stage, the minister and now-president Juan Manuel Santos Caldero switched to intervening the plant’s processing stage in labs and facilities. As a result of this effective new strategy, the government of Colombia achieved a 51% reduction in cultivation over the past four years. In a larger sense, not only has Colombia undergone quite a dip in cocaine production, the global area under coca cultivation has also significantly reduced in size. In 2011, it was 14 percent lower than in 2007 and 30 percent less than in 2000. Another source for the downward trend in cocaine use has been linked to improved measures by the US Coast Guard in stopping the importation of the substance before it can reach the country. In a recent blog post, it was reported that the US Coast Guard confiscated 236,000 pounds of cocaine, an estimated value of $3.5 billion, in 2012. Statistics gathered from the 2013 World Drug Report further prove the efficacy of law enforcement intervention of coca cultivation, as the world’s largest cocaine seizures continue to be from Colombia, with 200 tons, and the United States, with 94 tons. According to the ONDCP, there has been a 48 percent drop in the number of cocaine seizures in the US from 2006 to 2011. The decline of cocaine use has also been associated with the idea that it lost the attribution it once had with affluence and has perhaps been replaced by other drugs that are more easily accessible, such as prescription medications. 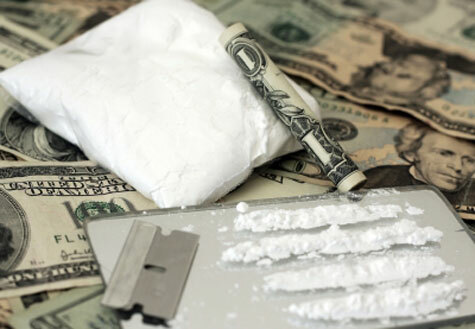 While countries in North America and Western and Central Europe that have a recorded history of high cocaine use have observed a decline or stabilization in recent years, research by the UNODC indicated that the cocaine market has instead been shifting to several regions which were not previously associated with the drug. Noticeable increases in cocaine use have been noted in Asia, Oceania, Central and South America, and the Caribbean — specifically in Brazil, Costa Rica and Peru, according to the 2013 UNODC World Drug Report. With 1.6 percent of the adult population in South America using cocaine, a continent largely in economic turmoil, the 80s-era image of cocaine as a glamourous drug intended for the wealthy is no longer relevant.